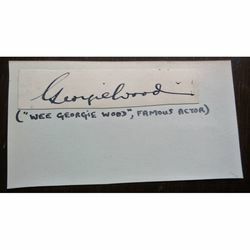 Wiki: "George Wood OBE (17 December 1894 in Jarrow, County Durham - 19 February 1979), known professionally as Wee Georgie Wood, was a British actor and comedian who appeared in films, plays and music hall revues. Wood, who was a dwarf, worked most his professional life in the guise of a child, appearing in comic and sentimental sketches. He also wrote a column in the weekly The Stage newspaper. He was a stalwart of the Savage Club. Wood, who, when fully grown, was 4 ft 9 in (1.45 m), started his long music hall and variety career at the age of five. Discovering that she had found her own home-made Eldorado, his mother managed his life off and on stage. 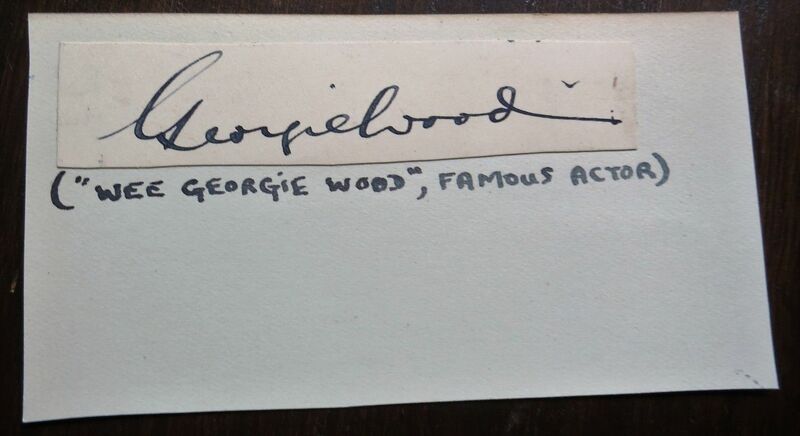 Wood continued performing for over 50 years and was considered to have been one of the most successful pantomime stars of his era."